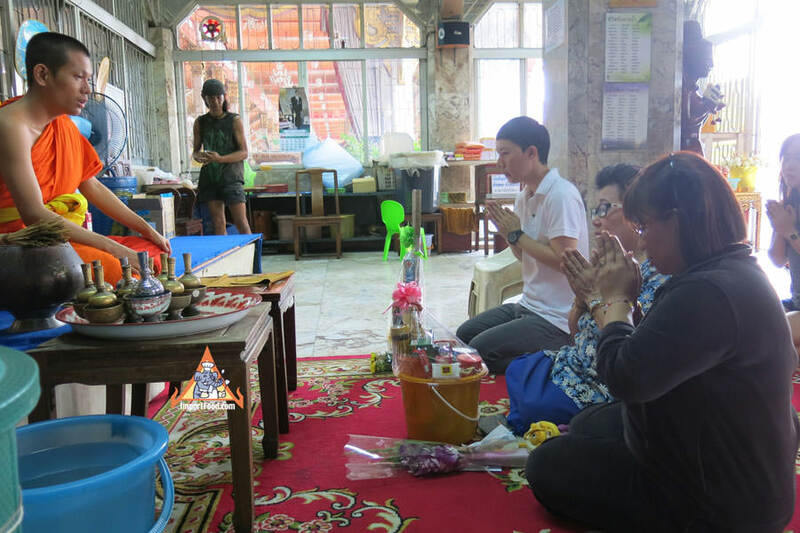 Visitors pray to the monk and donate the bucket of supplies to the temple. The temple sells a bucket of things that a monk needs, such as tea, soap, toothpaste. Often times a person will visit the temple on a special day, such as a birthday.